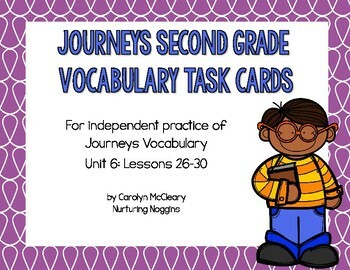 his independent practice activity allows students to practice the vocabulary words for each of the five lessons in unit six for the second grade Journeys reading curriculum. 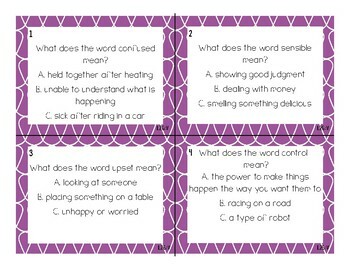 These task cards are also part of a bundle with phonics and grammar task cards, as well as 25 days of independent bell work that practices the skills in each Journeys lesson. 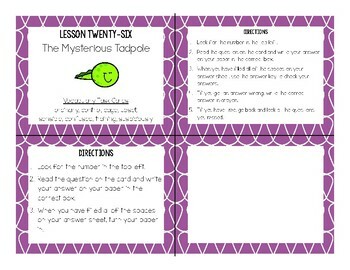 When you purchase the bundle, I give you a set of blank answer sheets for each lesson so you can mix and match the questions from the three sets of task cards (grammar, vocabulary, and phonics). 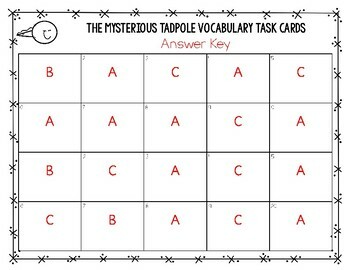 Each task card is color coded by lesson and it also is labeled by skill in order to keep things organized.